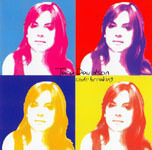 Code Breaking is actually Tara Davidson's second album, the first simply named the Tara Davidson Quartet (2005). Keyboardist David Braid, whose recent Zhen has gotten rave reviews, appears on both albums. Mike Murley, playing tenor sax only, has been very busy lately, appearing here and on Davidson's drummer Ernesto Cervini's debut album Here, plus Zhen and Mnemosyne's March, also with Braid. Thus, the Canadian circle continues to widen and cross-fertilize. Davidson demonstrates once again a side of the ineffable Canadian jazz presence which is very up, happy and optimistic without being cloying or simplistic. The music is quite accessible with enough depth to satisfy that craving. Compositionally, the music investigates various genres in a way that gives the album a variety of moods, while straddling the line between abstract music and allowing the tune to tell a story or examine an emotion. While I do not want to suggest a sexist explanation, Davidson does share much of the same emotional ground with Min Rager, as exemplified on her Bright Road. The music has much of the same transparency and immediate emotional appeal that allows it to be easily enjoyed, but nevertheless has more layers to be found hidden underneath. "Black Night Blue," taking its title from a line of Pablo Neruda's poem "Disaster," is a fine example of this dichotomy. While superficially a tango, although an intensely passionate one, the seemingly simple structure has many surprises in store as the track builds. 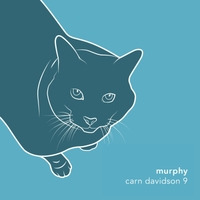 The bass ostinato plus angular drumming is hypnotic as it supports outstanding solos from both Davidson and Murley. Braid has a nice, very exposed solo also, but this tune also shows how valuable he is as an accompanist, as he finds myriad ways to fill the gaps. After we hear some rhythmically simpler material, "Ameke's Lullaby" seduces with its lightly flowing bass line and two saxophones that wind around each other. Once again, what appears superficially simple is anything but as phrase lengths and meters shift, allowing the regularity to be nudged and thus providing subtle complexity. This tune will reveal more each time it is listened to. The other tunes get into the funkily electronic ("Code Breaking"), the seemingly purely bebop-oriented ("Koology") or cool boogie ("Puffin Boogie"), and they feel characterized more by rhythm. The key to the music, though, is that, while there is much good-natured blowing, there is always something added to give it a bit more depth. Awarded the "Emerging Artist Award" at the 2005 Distillery Jazz Festival, Davidson is a fine player with a fertile imagination who most definitely bears watching. Track Listing: Code Breaking; Koology; Black Night Blue; Jig For Joshua; Puffin Boogie; Signal Hill; Reason Season Lifetime; Ameke's Lullaby; Battle Scars. 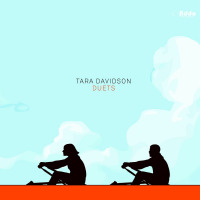 Personnel: Tara Davidson: alto and soprano saxophone; Mike Murley: tenor saxophone; David Braid: piano (2,3,6,8), Fender Rhodes (1,4,5,7,9), Wurlitzer electric piano (1,5,9), Prophet keyboard (4); Michael McClennan: bass; Ernesto Cervini: drums.